We all know that coffee is great for the body and the soul. Latest researches show that coffee is the best, main and most effective ingredient when you’re planning to make coffee soap. It has countless benefits on your skin. If you want to rub away cellulite, coffee grounds is the best and most effective. 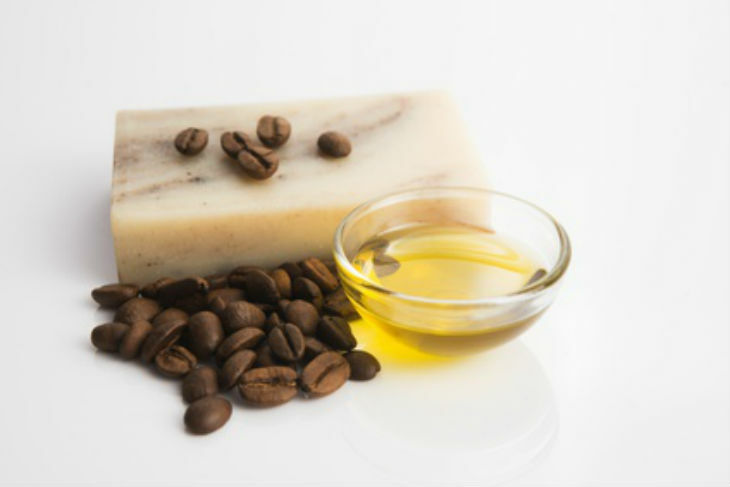 Coffee soap will not only help rub away cellulite but also remove acne and create a smooth and radiant complexion. It is effective than most of the products you see in stores. Below are ways on how you can just do it yourself using the already available ingredients in your house. In this case, you need coffee ground. The first step is to decide exactly what you need. Coffee has countless health benefits on your skin. Coffee beans contain a lot of natural oil that can hydrate dry skin. It also contains a high percentage of caffeine that helps tighten the skin if it is loose. It also keeps cellulite at bay. Coffee has great components that mask the appearance of stretch marks and remove blemishes. If you just mix coffee ground with other useful ingredients, you can help improve the effectiveness and result of coffee ground on your skin. There are several things you can include and achieve better results. You can choose to add coconut oil as it has strong moisturizing power. You can also include olive or soap bar as it will help fade stretch marks. The results will be just wonderful. As soon as you have decided on what you need depending on the problems you want to solve, it’s the best time to have all those ingredients and start immediately. Get a large bowl that will help you mix all the ingredients. Of course, you need to put enough coffee grind into the bowl. If you want to make small scrub, you need to use 0.25 cup of grind coffee and mix with 0.5 amount of liquid. The short video below shows you How to make a Coffee Cellulite Scrub that fights cellulite! You can choose water or oil as liquid. This will depend on your preference. Add 0.5 cup of coconut oil into the mixture as it is very effective in the treatment of acne(1), pimples, and cellulite among others. This makes it a dual action scrub that will help you get rid of acne, pimples, spots, achieve a natural and smooth look and much more. Mix all these ingredients until they mix completely to become a paste that can be applied onto the skin. Before you apply this paste, it is always good to wash your skin first. You need to shower, rinse yourself then apply the paste. Apply gently to the skin and massage the paste gently until the skin absorbs the paste. Leave the mixture or paste on the skin for about 15 minutes. This will give your skin enough time to absorb the mixture. After 10-15 minutes, you can take a damp cloth and rub away the mixture gently. As soon as you have done that, you can pat dry and apply a moisturizer for smooth, natural and radiant skin. Caffeine is now used as an active ingredient in lotions and creams to help fight cellulite and other skin ailments. Applied topically, it stimulates the tissues, plumping up sunken areas and giving an overall smoother appearance to your skin. Coffee is packed full of caffeine and using coffee grounds on your skin has proven to be a cost-effective way to get the same results as beauty counter lotions provide. You can create your own body scrub by mixing coffee grounds with your favorite body lotion and rubbing it onto your skin. The results of using coffee for your skin care will surprise you with its effectiveness. You can now get smoother, dimple free skin at home. Coffee ground has become a popular skin care agent. Many people rarely know the importance of coffee to the skin. According to the latest research, coffee ground is one of the best and most effective skin care products that helps hydrate dry skin and remove cellulite among other skin care benefits. Those with stretch marks can also benefit a lot from a coffee ground paste with coconut oil or olive oil.